Today: Last month, Jorge Riera, the sommelier at Contra in Manhattan, introduced me to dark rosé—and I fell hard. I realize this may not be a popular opinion, but for me, rosés have been stuck in limbo between their more interesting red and white cousins. I'd drink them when it was warm out and I was outside, preferably on a beach, as a sweeter alternative to beer. But each chilled glass blended into the next, and eventually I passed on another grapefruit-hued glass in favor of richer, louder grapes like Chenin Blanc or Tempranillo. But then, on a chilly day—the sort of day when I would never drink rosé—I learned my lesson: There's more to rosé than meets the eye. I learned my lesson when Jorge Riera, Contra's sommelier, paired a dark wine (what I assumed was a red) with a rich pork custard. (Yes, pork custard, but that's another story.) But he introduced the glass as a rosé from Panevino in Sardegna, Italy. The almost-purple wine bore little resemblance to the pink bottles I'd come to know—and I loved it. 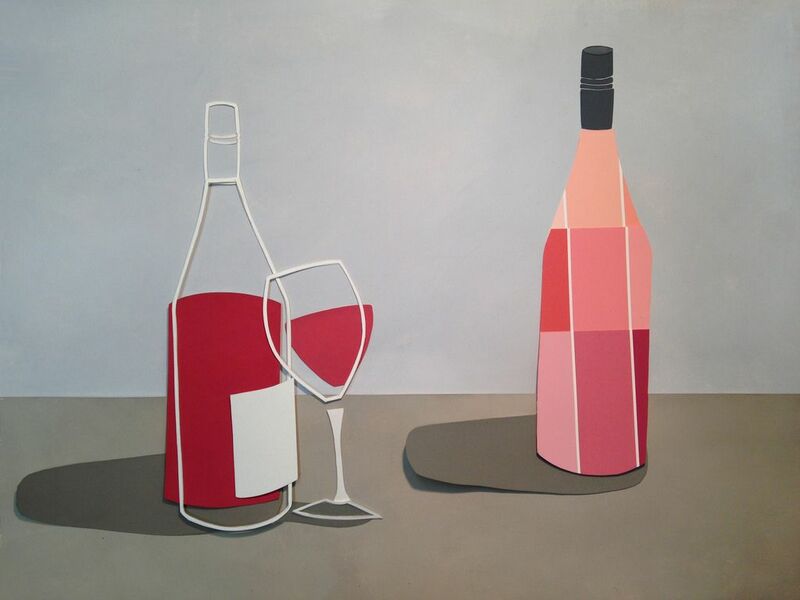 Dark rosés, unlike this recognizeable light shade, often ressemble light red wines, or even have a slightly purple hue. He explained that rosé is often misunderstood: The only difference from red or white is its color, which is an indication of how long the wine has macerated. The maceration process is one of the primary production processes that differentiates red and white wines—it's a process in which the grape tannins and colors are soaked in wine must. The dark rosé that I had tried, while not macerated long enough to be distinguished as a red wine, had undergone a longer maceration than the rosés I was used to. As a result, Jorge said, the wine he served is a "complex rosé that's heavier and goes well with food." In general, darker rosés tend to be dryer and have more character; they go from tasting like a highly acidic light wine to revealing more layers of spices than a light rosé. He explained that the timing of my rosé epiphany isn't surprising. Alcohol regulation laws in the United States have recently become more lax so that wine distributors are able to ship previously regulated wines across state lines. So the domestic rosés considered to be summer drinks are now being supplemented by the darker, richer French and Italian rosés that are enjoyed year-round in Europe, including those from some of Jorge's favorite vineyards. More: Maybe it's time you make rosé your cold weather go-to? 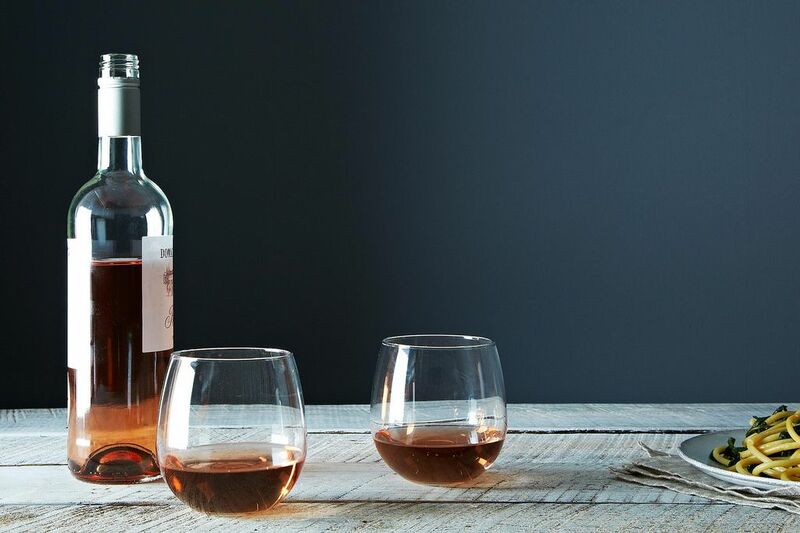 Many wine stores across the country have started carrying dark rosés, but if yours doesn't carry any yet, speak with the sales person at your local store—they may be inclined to order a case once they recognize that there's a demand for it. If you're lucky to run across one of the small producers Jorge works with, be sure to snag a bottle. Some of his favorites include Rosé d'un Jour by Mark Angeli in Anjou and a rosé from Les Trois Bonhommes in Loire, France, as well as a rosé from the Italian maker, Cantina Giardino, which Jorge describes as "practically a red wine." As for me? You'll find me on my fire escape, soaking up the sun and enjoying a bottle of Panevino en Rosé. Do you have a favorite rosé? Tell us in the comments below! The original article mislabeled Rosé d'un Jour as Rosé d'Anjour, and was corrected on July 15th. I had perhaps one of the best meals of my life this week, and one of the courses was a dark rose paired with perfectly prepared pork belly! I am kicking myself for not getting the name of the bottle. A wine that probably falls into the dark rosé category that I absolutely love is Lagrein Rosato from Südtirol/Alto Adige, Italy. Alois Lageder makes a very elegant one that is excellent with any meal, and Muri-Gries makes a fantastic interpretation as well. It still has a lot of the woodsy earthy notes of the red Lagrein but exhibits the crisp clarity of rosé wines. Portugal is also producing some great rosés in the Alentejo region as well - I just tried a Touriga Nacional-based rosé from Herdade do Rocim 'Mariana',- it was delicious and very substantial. Are the dark roses served chilled or room temperature? Seems like the focus of this article is "typos" not "delicious roses" Let's learn something new and drink some deserving pink wines, then we can just laugh at and dismiss all the typos. it should be NO letter r at the end. Not or nor do not work , either of them. Hi Jane, I'm sorry but I'm not sure what you're referring to! I recently had dinner at the Bachelor Farmer in Minneapolis where the wine special of the eventing was Heidi Schrock Rose Biscaya (Austria?) Made from Merlot, Cabernet Sauvignon, and maybe others. It was delicious, fruity but not very sweet, clean and a little effervescent. Cannot find it locally, I honestly think there is only one wine store in NJ that carries it. There are still some excellent US Roses out there. If you haven't had RSV's Vin Gris, you have missed a wonderful Rose. It is in no way sweet. And while it is great to drink on its own, pair it with a saffron seafood dish and it is a wonder! Are the dark roses served at room temp or chilled? I was fortunate enough to spend ten days in southern France this summer drinking rosés--then equally fortunate to return home to Central New York, where I've been equally happy quaffing outstanding rosés from the Finger Lakes. The rosés I know from the Finger Lakes are dry, with strong mineral backgrounds. Eat local, drink local. Try to track down a rosé from Silver Thread, Ryan William, Lamoreaux Landing, Red Newt, or one of the other great small vintners around Seneca Lake.. I am fond of Chateau Miraval Rose de Provence. While it is a "celebrity wine", the wine maker comes from an emininent winemaking group in France.. I could drink it all afternoon on the patio. My other favorite is Domaine Tempier Rose de Bandol. You're right! It looks like I combined the region and the title. The correct title of the wine is "Rosé d'un Jour" from Anjou—like I mentioned, he spoke quickly! Thank you for catching this, and I'll change the article to reflect it!